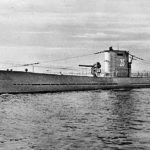 Buying a watch can be a rather intimidating and baffling experience, perhaps even more challenging for some of us than purchasing an automobile or even a house. 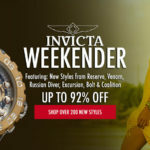 With similar terms such as chronograph and chronometer to consider, not to mention trying to comprehend the difference between automatic, mechanical and quartz movements inside and the different levels of water-resistance, there’s a lot to ponder over for new watch buyers and numerous avid watch collectors alike. 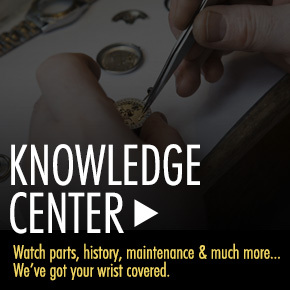 The new Knowledge Center at WorldofWatches.com answers many of the questions both new watch buyers and seasoned collectors may have. 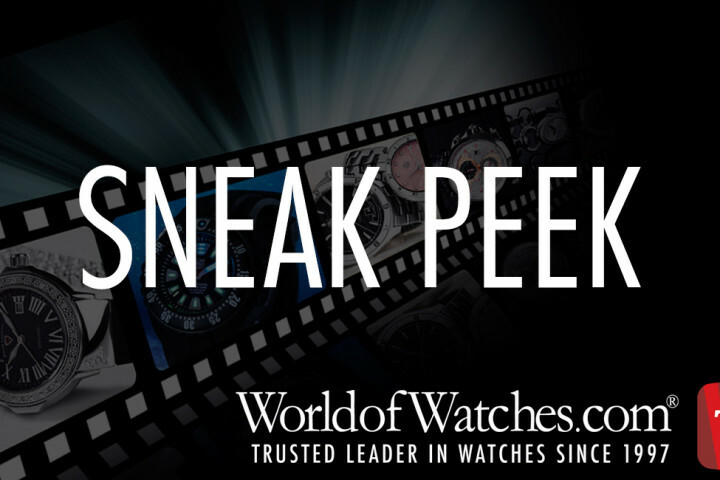 There are sections on the Inside & Out of Watches, featuring articles on the different movements inside to the details and materials on the outside – including the Crown and Push-Pieces, Crystal and Clasps along with a comprehensive review of water-resistance. You’ll also be able to learn about the different aspects of Chronographs and Chronometers, as well as popular Diver’s Watches, Pilot Watches, Racing Watches, Fitness Watches, Digital Watches, Skeleton Watches and more in the Watch Types section. You can also read about many of today’s top watchmakers from Bulova and Breitling to Michael Kors and Maurice Lacroix… to Omega and TAG Heuer in the Brand History section, featuring brief brand stories on these popular watchmakers and many more. The Buying Guide section features everything from Buying A Watch to Watch Care & Maintenance, along with articles on Winding A Mechanical Watch, Setting The Calendar, Watch Winders, Watch Batteries and repairs. You can also check-out the Video Tutorials area and review videos, featuring everything from Strap Buckles and Water Resistance to Watch Movements and Automatic Watch Maintenance. 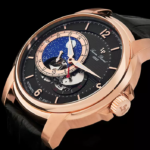 No matter what articles and areas you view first, The Knowledge Center at WorldofWatches.com will be your favorite source for watch knowledge and information as it already has mine.